On 20 August 2018, Lelong.my (“Lelong”), Malaysia’s pioneering e-commerce marketplace, is turning 20 this year and plans to celebrate by rewarding users with the ultra-exclusive and yet-to-launch new Proton SUV, as well as up to 10,000 vouchers and 500 prizes. Lelong is rolling out an exciting line-up of contests, deals and promotions up until Malaysia Day, culminating in Lelong’s 20th anniversary celebration event. Highlights include the “Shop and Win” and “Spin and Win” contests which will be hosted on Lelong’s website and mobile app, where users will have the chance to win from a pool of thousands of prizes and vouchers. The “Shop and Win” campaign also comes with the ultimate grand prize of the ultra (exclusive Proton SUV) - the first-ever SUV for the iconic Malaysian marque that has yet to debut in the market. In addition, during weekdays from 1pm to 2pm, you can bid on the Lelong site for any of the available 20 to 50 items daily, starting from RM1. On the social media front, Lelong is running the “20 for 20” Challenge on both its Facebook and Instagram, where 20 unique challenges are posted throughout the contest period, with a total of 20 winners selected to receive the prize of Lelong’s Surprise Gift Boxes. Running concurrently is the Photo Overlay Contest, an opportunity for Malaysians to show and share their love of the country’s most popular homegrown e-commerce site. Whether it is bidding or browsing, users exploring Lelong.my and its mobile app will now be greeted with a new interface, currently being previewed and tested across all Lelong platforms since early this month. The revamped interface, with a brighter and sharper logo, also activates Lelong’s promise of delivering more “Lagi Worth It” deals and improved user experience, all while championing more local sellers for years to come. 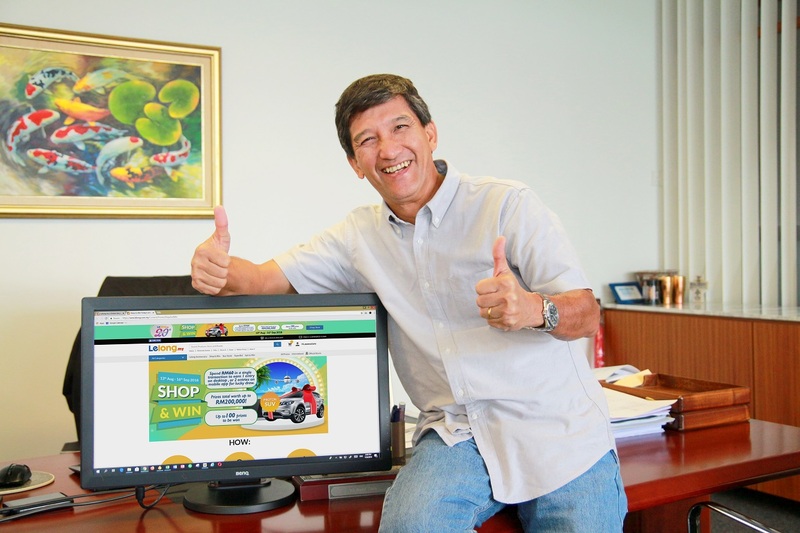 In addition to contests, users can avail themselves to a whole suite of unbeatable deals on the Lelong site and app throughout the campaign period, such as Star Deals, “Hot Items, Hot Deals” (for best-selling items) and Bargain Corner (for items priced under RM50). Join in the festive fun now with Lelong by visiting www.lelong.my and stay in touch with Lelong on Facebook and Instagram at https://www.facebook.com/lelongmalaysia/ and https://www.instagram.com/lelongmalaysia/ for the latest contest and promotion details.